The consumption of streaming contents is constantly growing thanks to services and platforms like Spotify or Netflix. You now have another alternative for audiovisual material. 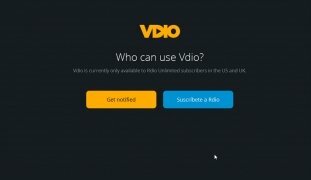 Vdio is a video store à la carte in which you can rent and purchase movies, series and TV programs. Discover what to watch thanks to your friends. This is the great difference regarding its competitors. In Vdio there are no flat rates: you only pay for the contents you are interested in. 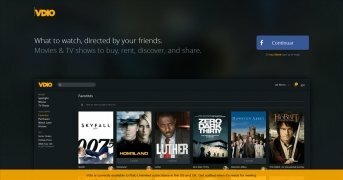 The same developers of Rdio, the audio streaming platform (with which Vdio integrates perfectly), have decided to throw themselves into the audiovisual market with this webapp. View the material on your own web browser. Create your own playlists of contents and share them. Includes new and classic contents. TV programs available a day after their broadcast. Take seat, make some popcorn and enjoy the best movies at home by accessing Vdio. You have to pay for the contents offered. The service is only available for Rdio Unlimited subscribers in the USA and United Kingdom.